The simple pleasure of strolling up or down Main Street is an understated treasure at Disneyland Park. Though most people treat Disneyland's entrance land as a pass-through to reach their intended destination, or as an end-of-the-day shopping destination, there is actually a great amount of detail that can be observed here. 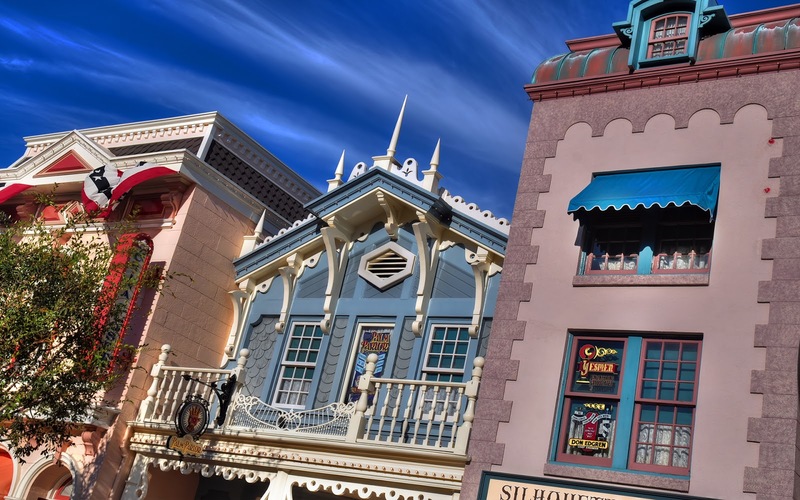 A recreation of a turn of the century town, inspired by a romanticized version of Walt Disney's home town of Marceline, Missouri, Main Street U.S.A. has a collection of carefully crafted storefronts and facades, each with its own details, character, and tributes. As is the case throughout the park, the use of forced perspective is employed here to make the buildings seem taller. Though the ground floor is normal scale, the second floors are about 7/8th the height and proportion of the first, while the third floors (where they occur) are about 7/8th the proportion of the second, or about 3/4th the scale of the ground floor. 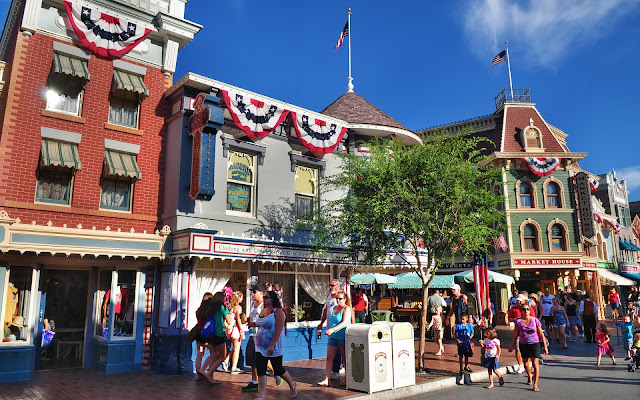 This creates the illusion of a taller and more encompassing space that stretches on longer than it really does, further cementing the idea that when you enter Disneyland, "you leave today and enter the world of yesterday, tomorrow, and fantasy." The various facades are rich with articulation. 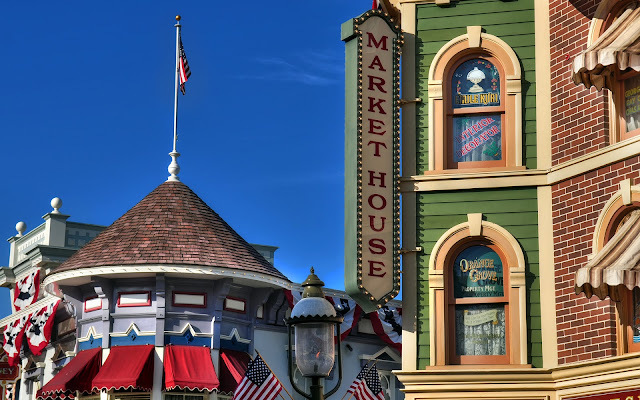 The Market House signage, with Disney Clothiers beyond. Guests strolling up Main Street on a beautiful day.